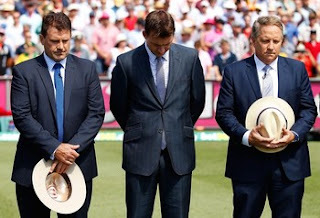 Channel Nine ACTUALLY issue instructions about their Cricket commentary team on what to say etc. Having said that they all love the sound of their own voices, the worst offenders are HEALY, TAYLOR followed by SLATER. Is this a review they gave you or is it a review you gave them?